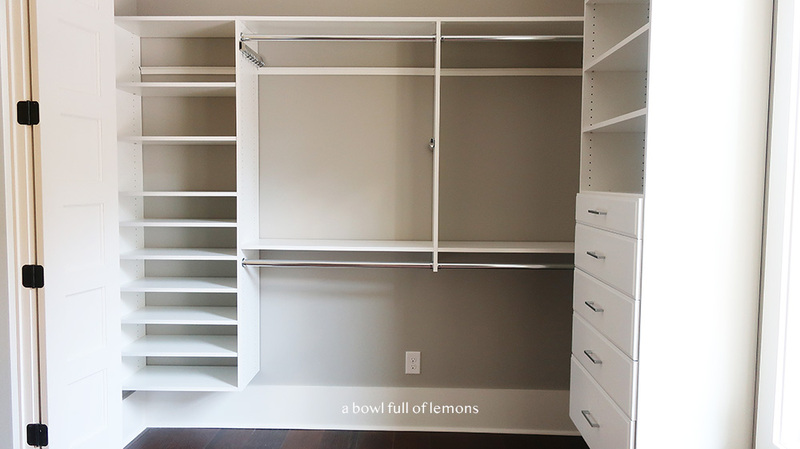 (This post is sponsored by EasyClosets). 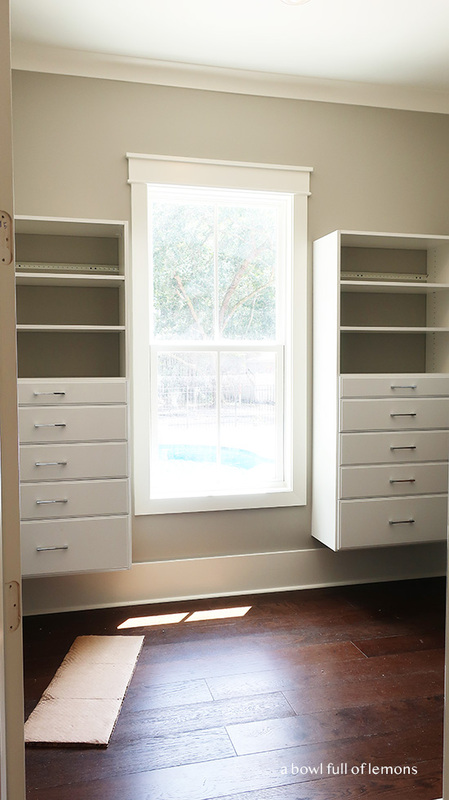 Our new home had a wonderful master closet space to create a closet system that would fit our needs. 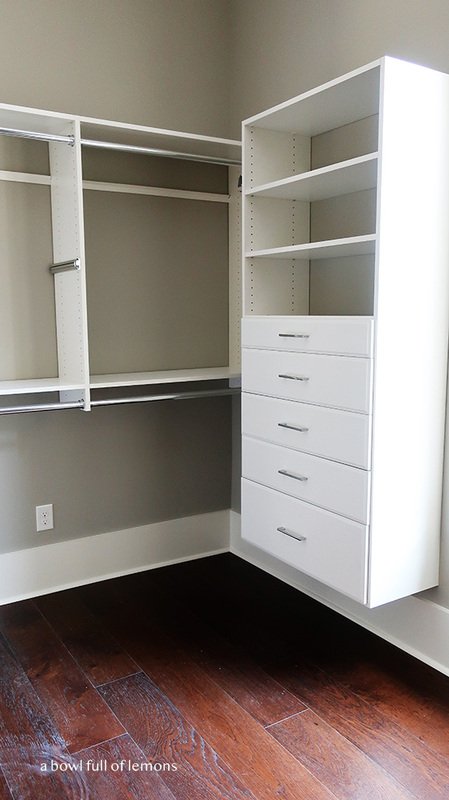 We chose to go with EasyClosets for their ease of use and simple installation. 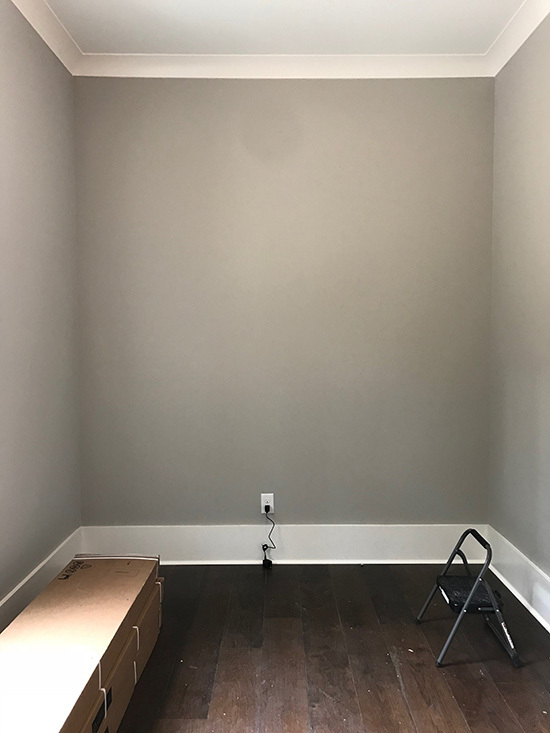 Although it was simple, it still took us 10 hours (from start to finish) to install. We took our time, making sure it was perfect. It was good “couples” time. (Check out the video tour here). 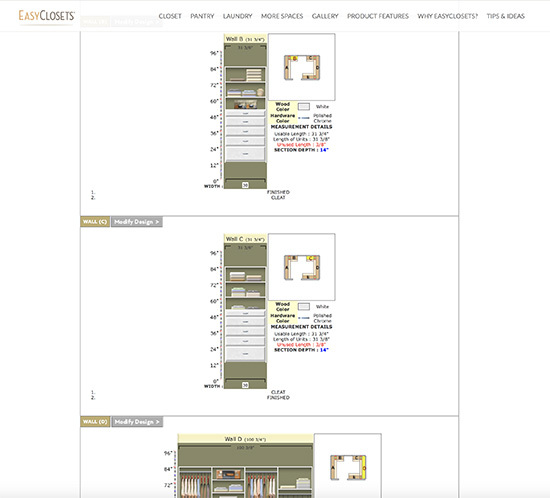 Working with EasyClosets was delightful. 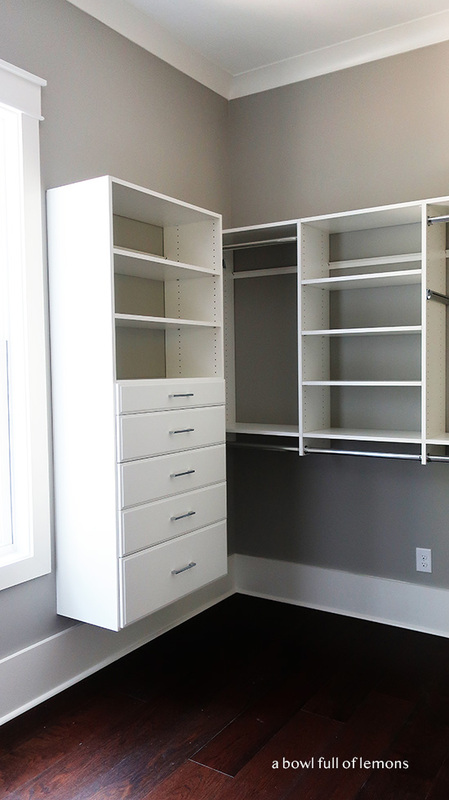 We took the measurements and sent them to our EasyClosets designer. We let her know what our needs were so she could create a space that would work for us. It turned out to be the perfect design. 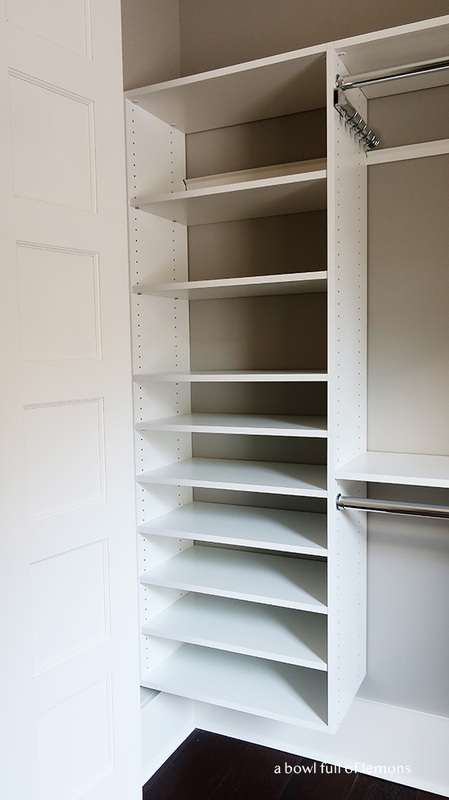 She made sure we had ample shelving for our shoes, space for my hand bag collection and enough hanging space for our clothes. We also added a few accessories for belts, ties and a valet pole. 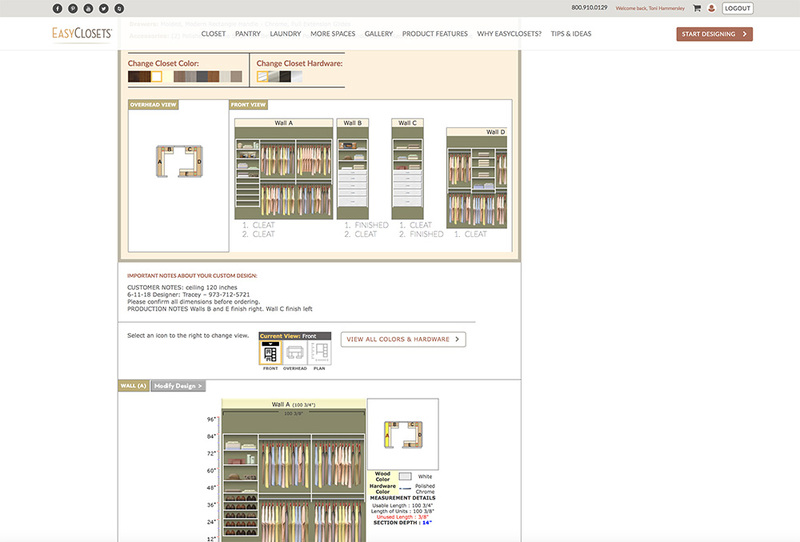 You can create your own design or have EasyClosets help you out. You can customize it to fit your needs. 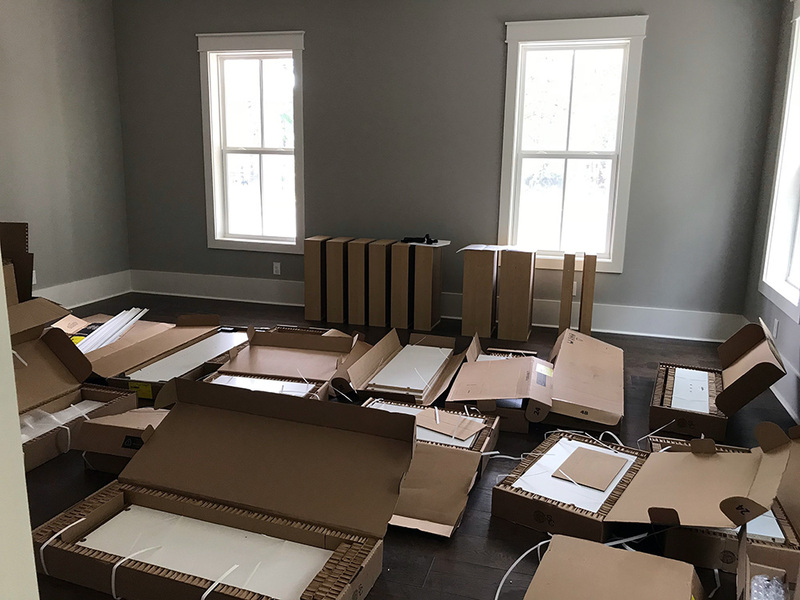 Once the shipment arrived, we set aside 2 days to tackle the project. We took everything out of the boxes and organized it all before we began. We followed the directions, step by step, which were very easy to understand. The installation instructions were straight forward. The space turned out even better than we imagined it would. 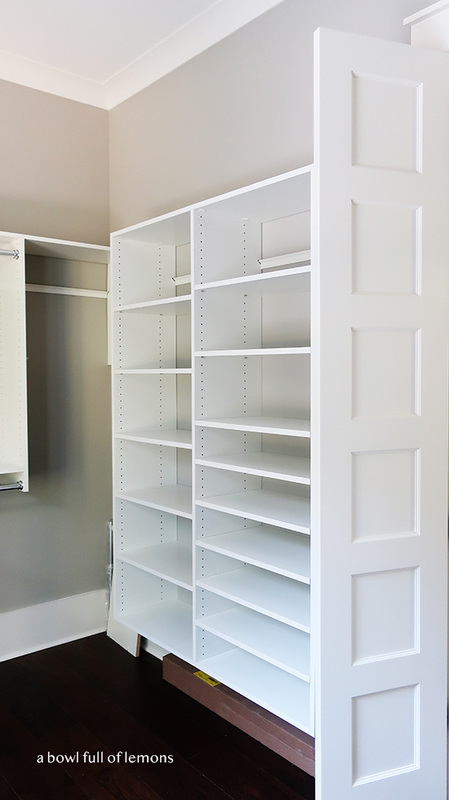 It’s a beautiful closet and we are excited to get it organized. I love the chrome fixtures. They match our lighting. 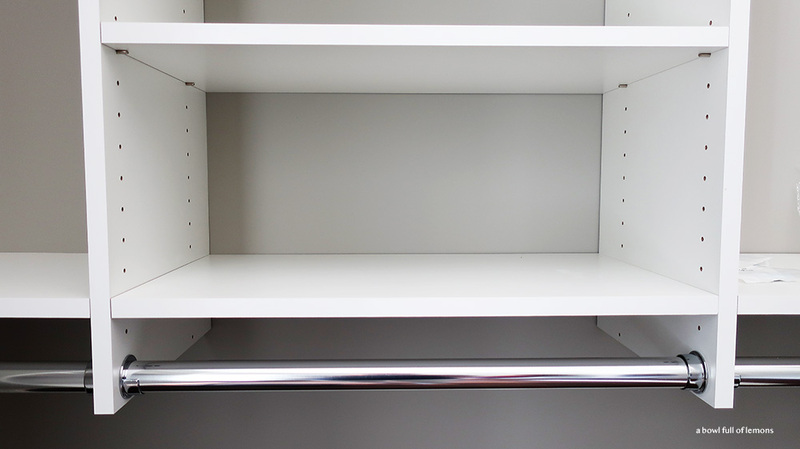 I also like that the shelves are adjustable, so if I ever want to change anything it’s easy to do. Now I just need to find a bench to sit in front of the window. 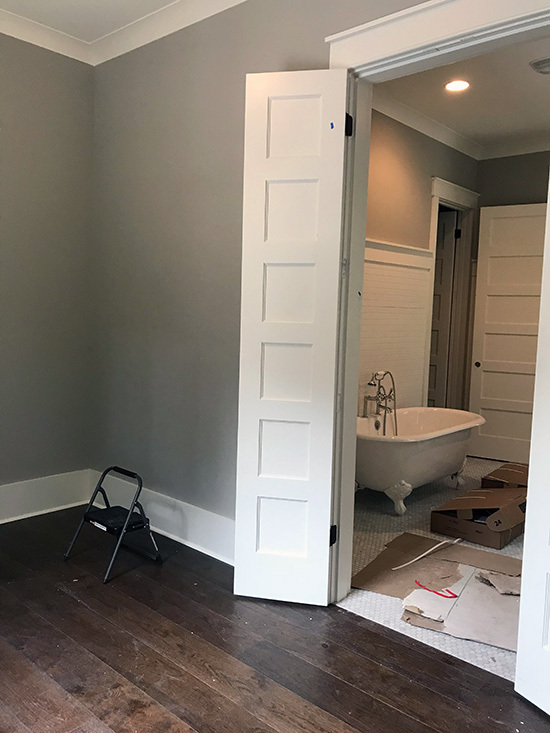 I will share the final reveal on Sunday, so you can see how we utilized the space to fit our needs. Thanks for joining me today. Be sure to check out my you tube video tour of the closet and subscribe to my email list for updates. 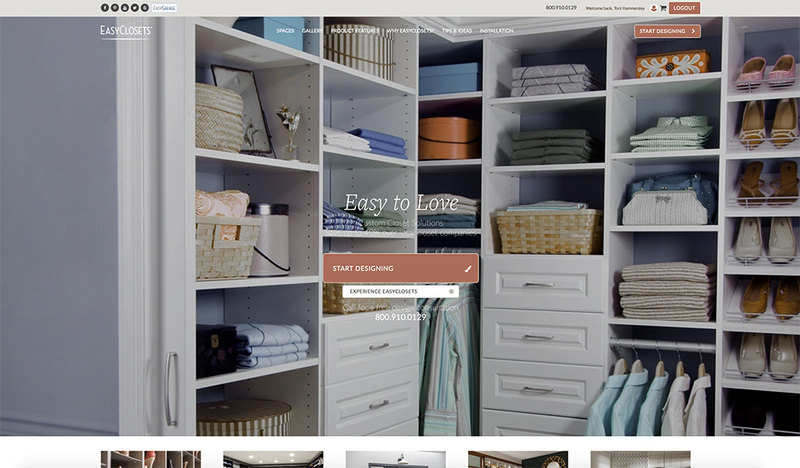 Disclaimer: I partnered with EasyClosets to create this content for you. 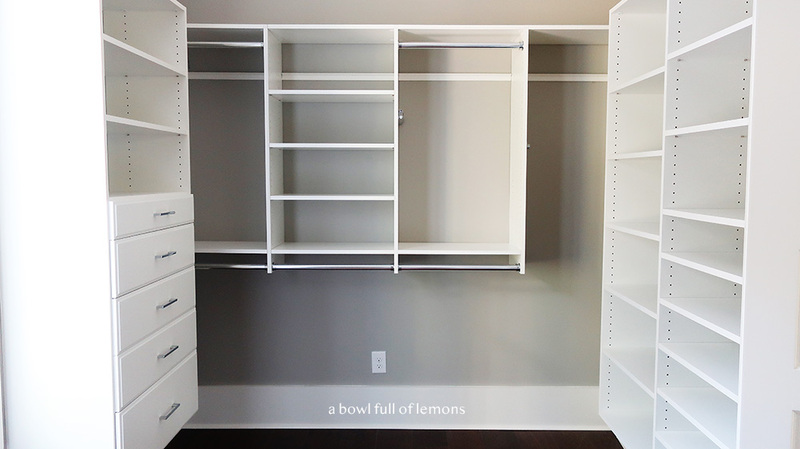 I received this closet system for free in exchange for blog posts about the closet and my experience. All opinions are my own & I only recommend products or services I use personally and believe my readers will enjoy. I am disclosing this in accordance with the Federal Trade Commission’s 16 CFR, Part 255: “Guides Concerning the Use of Endorsements and Testimonials in Advertising. Please click here for full disclaimer.